I got accepted into the Dental Hygiene Program at Apollo College in Boise, Idaho!! so we packed out bags and moved from ohio to idaho!! it was the most miserable trip ever in ohio!!! we moved in with some people we met in ohio. we live in an apartment made for roommates. so we have our own private bed and bath away from there room so its perfect. Our roomies are Sti and Levi. They just got engaged and are planning a wedding for next spring! I ended up not going to the dental hygiene program! :( i know sad, my scholarship didn't come through in time so the school wanted me to pay 54,000 dollars!!! i was like uhh... yeah i dont have that kind of money sorry!! so i found a job at Francis Family Dental in a little town called Kuna!! which i love! i definetly do NOT miss my dental assisting job in ohio!! that was hell on earth! this dental office is fabulous! so brushie brushie! lol i also work part time in boise at ruby river! Thor has been working at the YMCA as a lifegaurd and swim coach. one of his swimming lessons parents were chatting with him and offered thor a job!! yahoo!! he starts monday and i am so excited!! he will be trained to become part owner of a small buisness!! there even going to pay for his school!! but here are some updating photos! Thoralie! thor was a little sunburned!! te hehe! 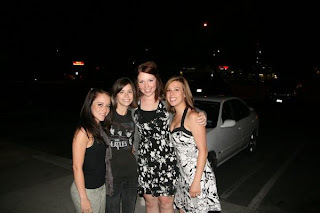 Emily, Me, Missy and Madison! 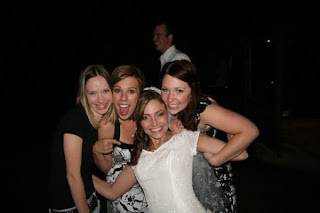 My 3 besties from highschool!! i'm glad we are blog buddies!! you rock my socks off!